Kim Kardashian’s fashion style is more comparable to that of First Lady Ivanka Trump’s, and less like that of fashion figure Jackie Kennedy Onassis. But it looks like the wife of Kanye West is going vintage and timeless. After declaring that she would take a break from purchasing expensive jewelry following the Paris robbery where she was held at gunpoint for her jewels last year, Kim Kardashian and Kanye West are the proud owners of the late Jackie Kennedy’s Cartier Tank watch. 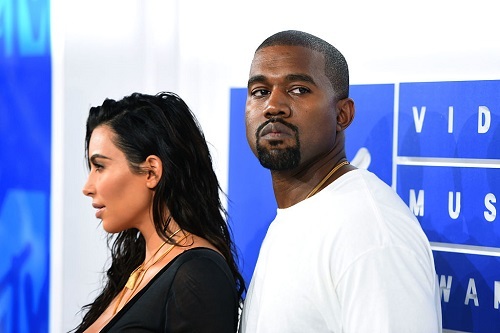 Could she be preparing for Kanye West’s promise for a 2020 presidential run? Or did Kanye West purchase the extravagant watch to quiet Kim who has baby fever bad and is looking to add no. 3 to the famous West-Kardashian clan? The couple have reportedly been fighting over the difficulties of having a baby. Kim and Kanye made the anonymous bid and purchase at Christie’s auction house this past Wednesday in New York City, paying $395k. Christie’s had expected to get roughly $120k for the diamond-less, black band and gold face timepiece, but managed to get double from the rapper and reality star. Jackie Kennedy Onassis was reportedly given the Cartier watch by her brother-in-law, Prince Stanislaw Radziwill. The watch is engraved with the date February 23, 1963, an important day for the late president and first lady. It is the day Prince Stanislaw participated in a 50-mile hike in the Palm Beach area to support President John F. Kennedy’s agenda to make Americans healthier. Kennedy was assassinated nine months later. 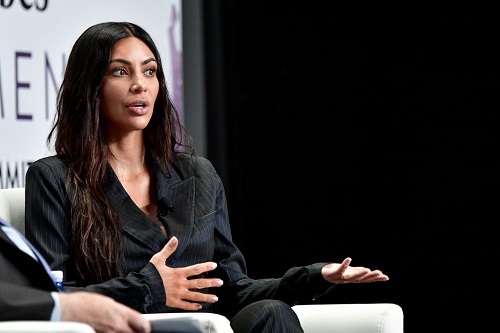 It has been reported that the pricey Cartier watch won’t be on display as Kim Kardashian plans to wear the expensive timepiece. It sounds as if she isn’t nervous about wearing such an invaluable piece out and about after losing roughly $10 million in jewels to robbers in Paris. Check back with CDL for more Kim Kardashian news and updates here. Kim Kardashian Pregnant And Preparing To Get Dumped By Kanye West, The Man She’d Do Anything For? Kim Kardashian Divorce: Kimye Fakes Marriage With North West Photo Ops – Kanye West Split On Hold?